Category: Spring 2019 CSS. 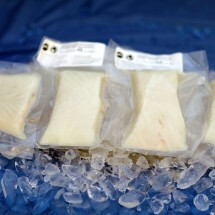 Tag: sablefish. 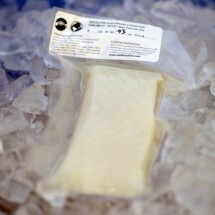 Smoked sablefish can be eaten raw when properly thawed using Otolith’s Rapid Thaw technique. 400 degrees, indirect flame, covered for 10-15 to warm through. Not necessary to flip while cooking. 400 uncovered with a braising liquid about half way up the side of the fillet for 10-15 minutes until warmed through. In a hot lightly oiled skillet, place fillet skin-side down for 5 minutes, add liquid and cook covered for additional 5-7 minutes until warmed through and meat lifts easily from the skin. 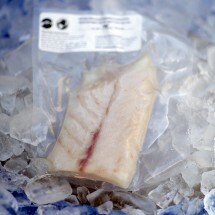 Total cooking time should be no longer than 10 minutes per inch of thickness for a thawed fillet. 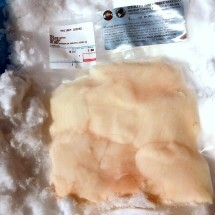 Smoked sablefish is an excellent substitute for smoked eel in sushi. It adds flavor to any sushi or sashi recipe and tastes good when combined with other fresh fish flavors in the dragon roll and rainbow rolls. 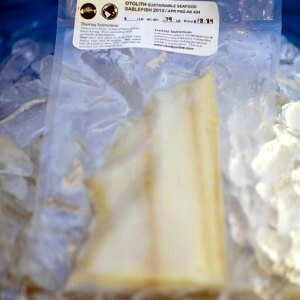 Smoked sablefish can be used to make ceviche. 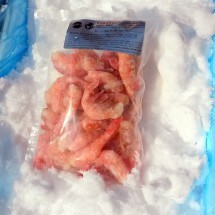 This smoked sablefish ceviche recipe was provided to me by one of Otolith’s CSS clients. 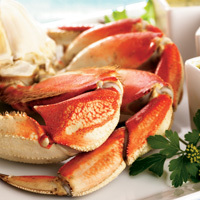 It is rich and zesty with well balanced acidity and saltiness. 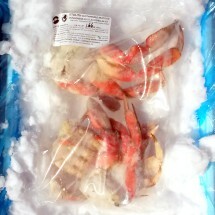 It makes an ultra schtick appetizer or tapas style entree. For a hearty and rustic treat, cook smoked sablefish in a diluted acidic braising liquid that only fills your pan or dish about half way up the sides of the fillet. This effect can be easily achieved by cutting fillets into portions first then fitting the fillets snuggly into any small glass dish or pan. Then pour a modest amount of diluted white wine, lemon juice or any acidic liquid over the fillets and set them to bake for 15 minutes. Serve the smoked braised sablefish with boiled new potatoes and caramelized onions. Place the cooked fish on a plate, top it with onions and some potatoes on the side, then drizzle the cooking liquid and some fresh chopped parsley over everything. This recipe can be prepped and cooked in 30 minutes and it will compliment any complex spicy and oaky white wine.